The French presidential castle has another tenant. 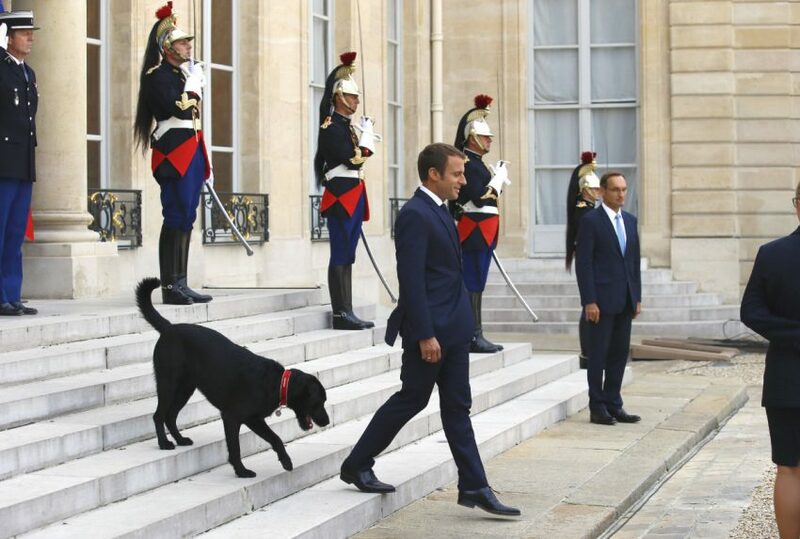 Nemo has made his initially strides as the nation's "first puppy" subsequent to being received by President Emmanuel Macron and his better half, Brigitte. The couple received the dark male "Griffiondor," a cross between a Labrador retriever and a wirehaired pointing griffon, from a creature shield throughout the end of the week. The canine is 1 to 2 years of age. The Elysee Palace squeeze benefit says Nemo was named after Captain Nemo, the anecdotal legend of Jules Verne's "Twenty Thousand Leagues Under the Sea." Macron is an enthusiast of the book. Nemo showed up quiet in his new part Monday as he went with Macron on the castle ventures to welcome President Mahamadou Issoufou of Niger.